Åre, short for Årefjãllen, is Sweden's number one ski resort. Consisting of four separate ski areas and villages, Åre is strung out along a big frozen lake, Lake Åresjőn, and is somewhat reminiscent of St Moritz - just as vibrant but in a much more remote setting. The three ski villages of Duved/Tegefjãll, Åre and Åre Bjőtnen have 103 trails served by an assortment of 46 lifts, including Sweden's only cable car and funicular. For those who want to keep going instead of making an early start to the après-ski there is a floodlight system covering two of the best pistes in Åre, Gästrappet and Lundsrappet, as well as Hamrebacken in Duved and Björnbacken, Vargbacken and Nallebacken in Björnen. Parking at Åre Skidcenter. The tracks start from the parking area to the north of Vargenliften. The track profile has a vertical variation of about 60 metres, irrespective of the length of the tracks. It is also possible to combine different tracks in order to vary the skiing and design your own length and character of track. The track has a vertical variation of 100 metres for the 10 km track and of 150 metres for the 15 km track and stretches all the way to a highland bog before turning back towards the village in a long sloping stretch. 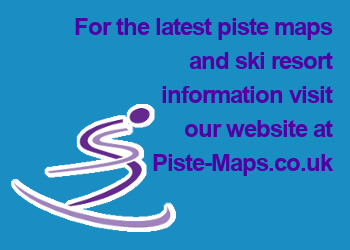 You may start your ski tour or exercise round from the parking area in the village centre, between Hotell Renen and Forsa Stugby or from the track centre 300 metres west of Hamreliften. Starting from the pension Millestgården, and Backs and Pålles Stugbyar in the westernmost part of Duved, you can use the connecting tracks and trails.